Picture taken on February 5th, 2009. 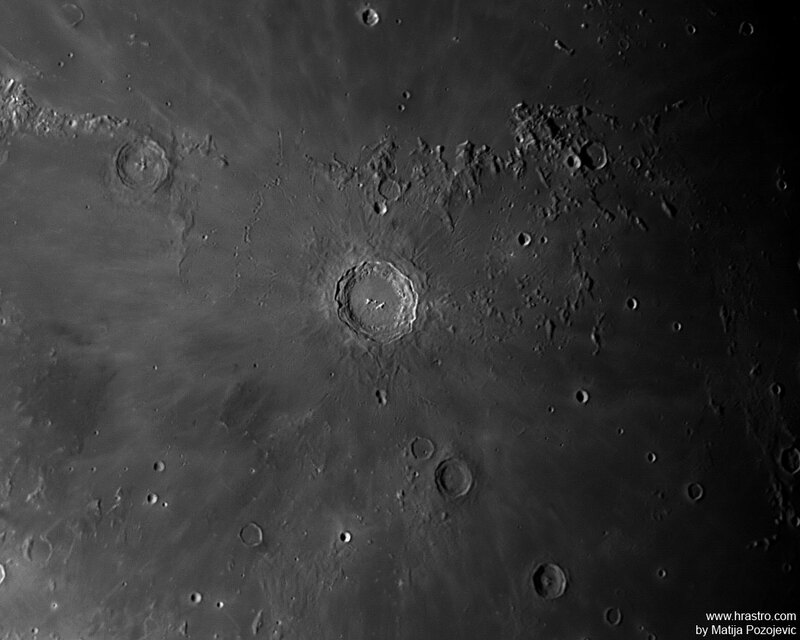 Copernicus is a prominent lunar impact crater located in eastern Oceanus Procellarum. 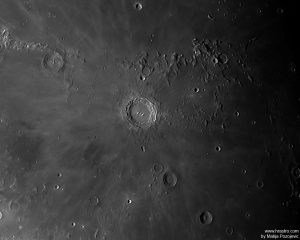 It is estimated to be about 800 million years old, and typifies craters that formed during the Copernican period in that it has a prominent ray system.